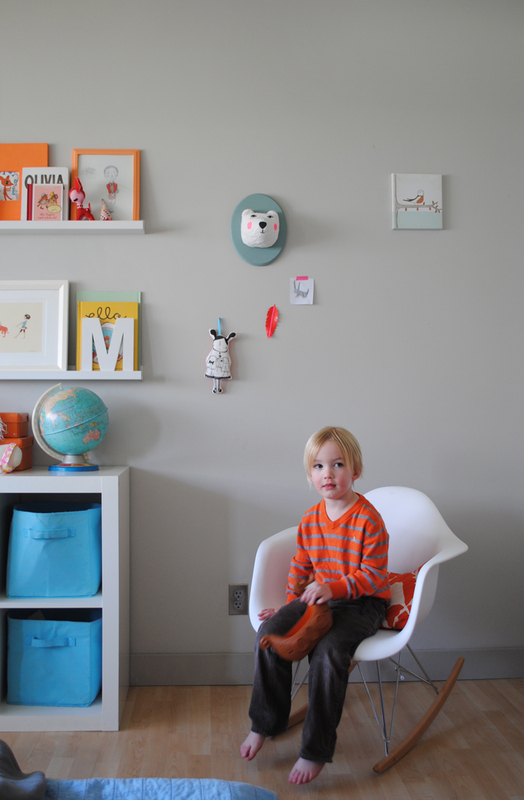 If you love the array of mounted animals that are so popular in kids decor, you will love this weekend project! 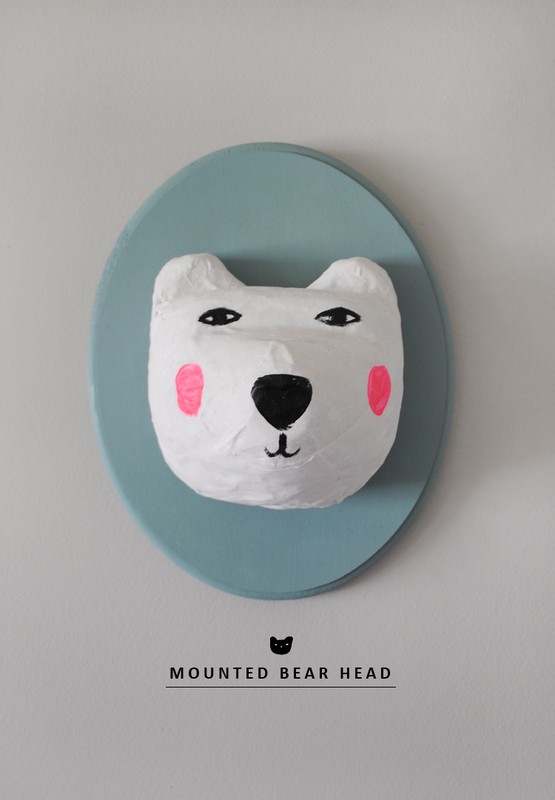 The first one is this cute bear head. The clever clogs mama over at Mer Mag blog made hers from styrofoam covered in ‘stiffy’ – a decoupage fabric stiffener. Another method uses newspaper. You can follow this tutorial from cute blog One More Mushroom. 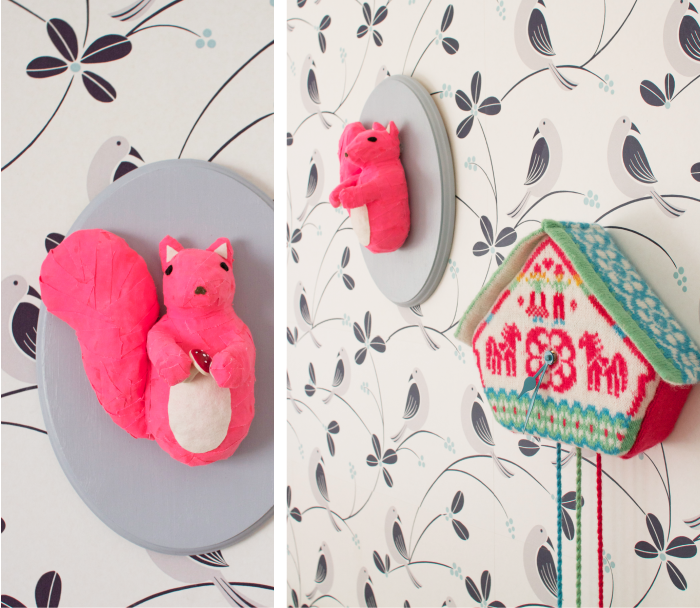 Don’t you just LOVE this pink squirrel she made? This entry was posted in creative stuff and tagged bear, deer, foam, paper mache, squirrel, weekend project by rudyandthedodo. Bookmark the permalink.